Three years ago I began exploring the world of literary journals. What I found was a community of readers, writers, editors, and publishers with a passion for short stories, novellas, and essays. In a short time I went from being someone who was interested primarily in novels and long-form non-fiction to falling in love with the literary journal. What I love most about reading literary journals is that they seek out and publish new authors. To me, each new issue of a journal is like a wrapped gift. I never know what I will be reading. Of course, literary journals also publish short fiction by established authors. During the time that I’ve been reading Tin House, I’ve read new fiction by Stephen King, Ursula K. Le Guin, and Joy Williams. If I hadn’t been a reader of Tin House, these stories would most likely have passed me by. Literary journals provide an easy and quick way to diversify my reading experience. 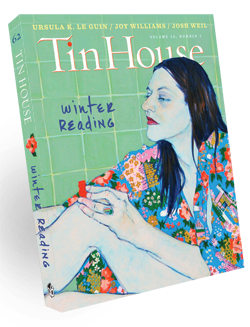 In each issue, Tin House publishes insightful essays on topics I would never have come across if I had stuck to my usual ways of finding something to read. 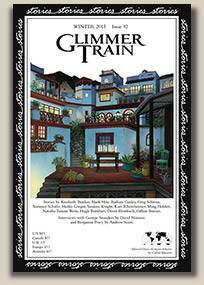 In Glimmer Train, I’ve read more stories about the American immigrant experience, war veterans with PTSD, and people with disabilities than I have anywhere else. I also love reading literary journals because of the author interviews. Here, The Paris Review reigns supreme with two extensive interviews in each issue and an archive dating back to the beginnings of the journal in 1953. A twist on the author interview is Glimmer Train’s feature “Silenced Voices.” In collaboration with the Writers in Prison Committee of PEN International, “Silenced Voices” profiles writers, journalists, and human rights activists from all over the world who have been imprisoned for speaking the truth through the written word. Because each literary journal is published according to its own publishing schedule, reading these journals makes me go to the bookstore more regularly. I see bookstores as communities teeming with activity centered on distributing good stories. That is why I have decided to buy my journals at the store instead of subscribing to them. A subscription would remove me from the community of the bookstore. Finally, I follow several literary journals on Twitter. Of these, The Missouri Review’s tweets are in a league of their own: humorous, self-deprecating, often expressing affection for their interns as if they were the staff’s own children. What is your relationship to literary journals?